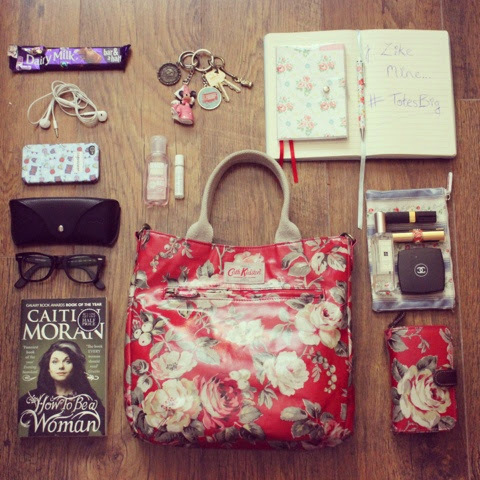 I was thinking about getting a Cath Kidston tote for University (which starts in October).. I'm not sure though, because I'm so small and I easily get back pains from heavy tote bags and thought that maybe a backpack would be better?? What is your University experience? Do you have to carry heavy bags? I definitely had to carry heavy bags when I was at Uni haha! Full of books and my MacBook. I would probably suggest a backpack as the two straps provide more support. I had a satchel and my shoulder would ache all day long! If you pop into your nearest Cath Kidston shop I'm sure they would allow you to try on the bags (when I worked there I would always put a few things inside the bag - like books and folders - so that the customer could get a sense of what it would feel like).